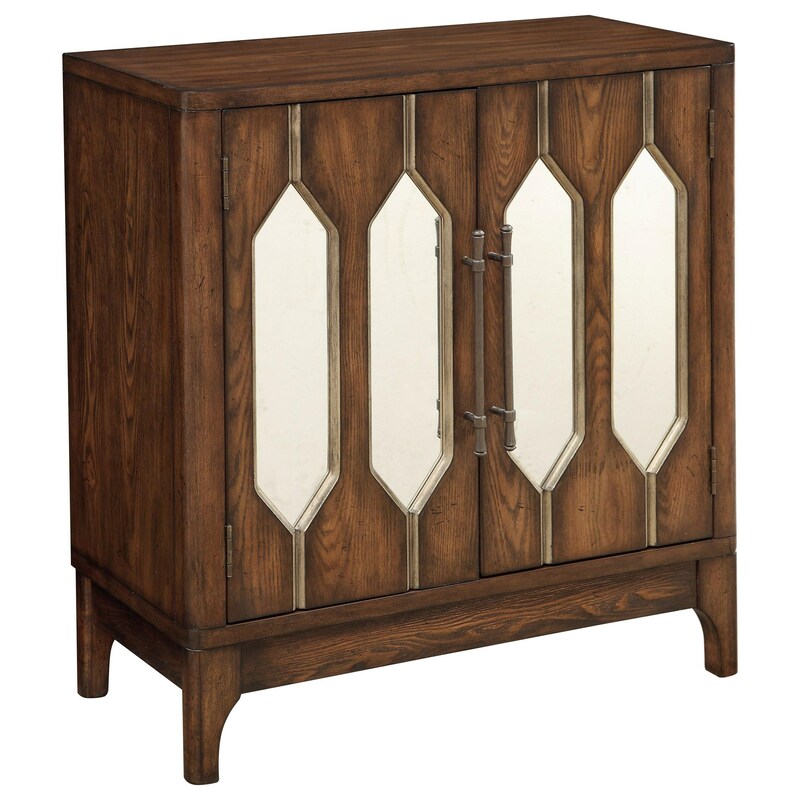 The rich wood grains glow in the natural beauty of our deep Devlin Mid Brown finish on this exquisite Two Door Cabinet. With a look that will reflect beautifully on any decor, the door fronts are inlaid with mirror accents in an elongated design that is reinforced with slender vertical hardware. Ideal for your entry, den or dining room, where the inner shelved storage area will keep items close at hand, and the upper display area will let you showcase your photos, artwork or that new pair of candlestick lamps.